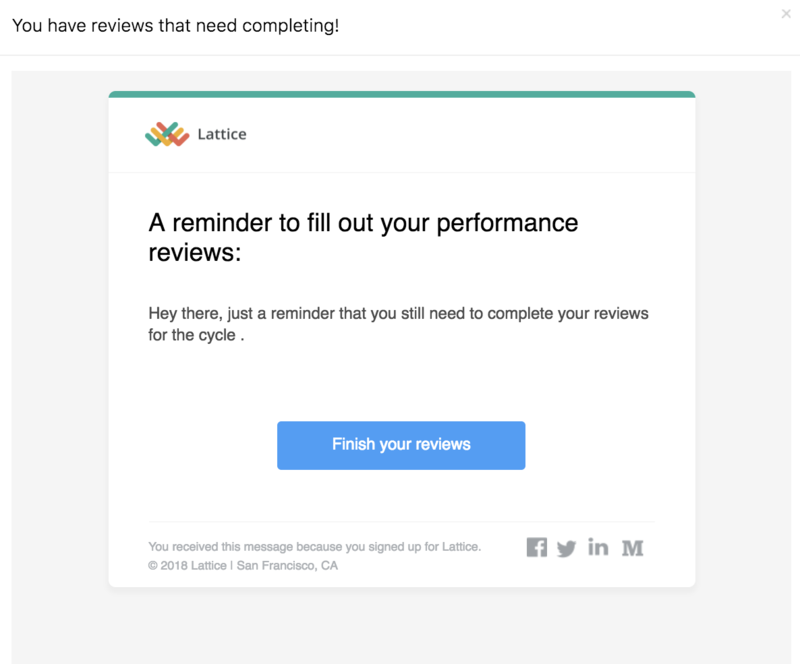 When setting up your review cycle, you have the option for managers to go last. This means that they cannot submit their review until all other reviews for their direct reports have been submitted. This can be a self-review for their direct report, peer reviews for their direct report, and/or upward feedback for their direct report. 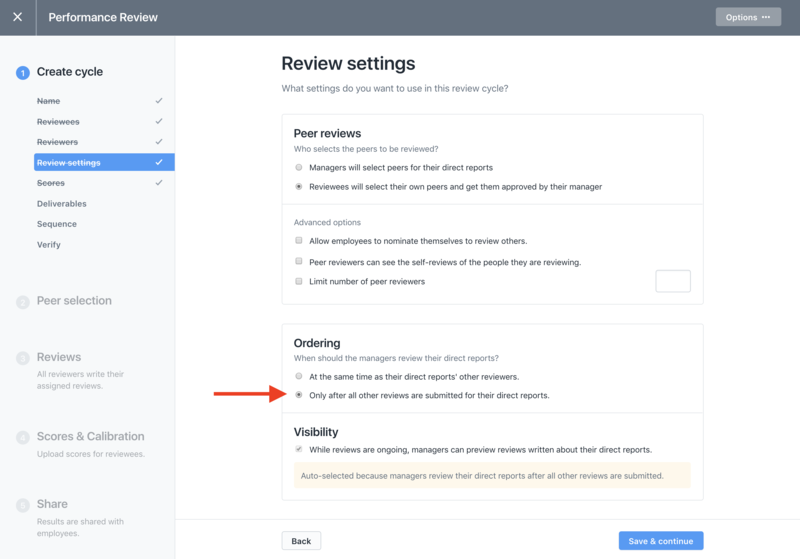 During the review cycle, an admin can enable this setting by navigating to the review cycle and clicking on the "Review settings" page (shown below). 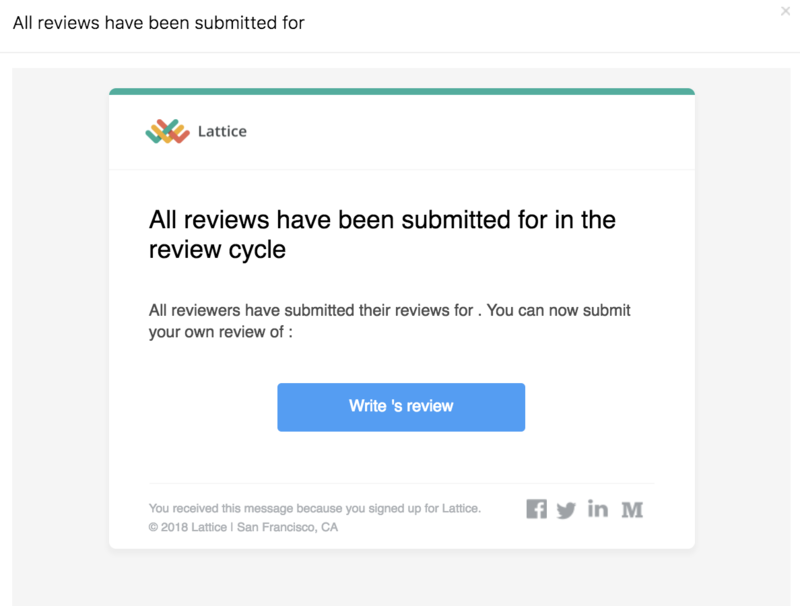 When you launch reviews, managers will be notified to participate in the review only if they have other reviews to perform (such as a self-review, peer reviews, or upward feedback). 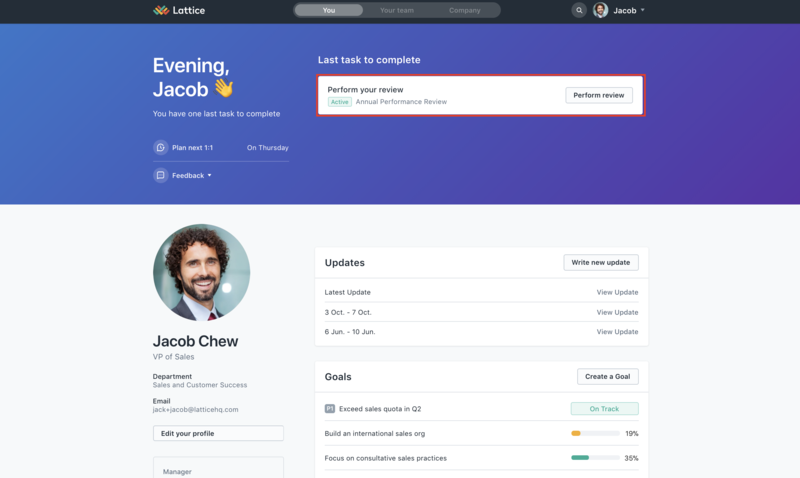 When they log into Lattice to perform those other reviews, they will see the option to complete their manager review, but they will see that they cannot submit the review yet. 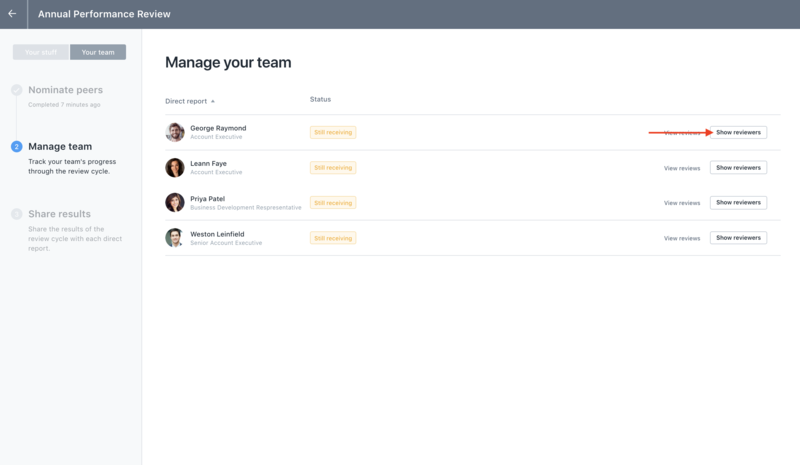 Once all the reviews have been submitted for their direct reports, a manager will be notified to go in and complete their manager review. 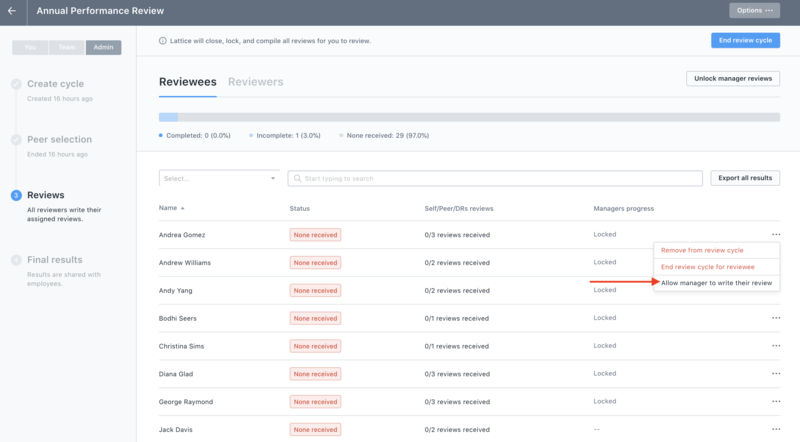 How can managers see who else needs to submit reviews for their direct reports? 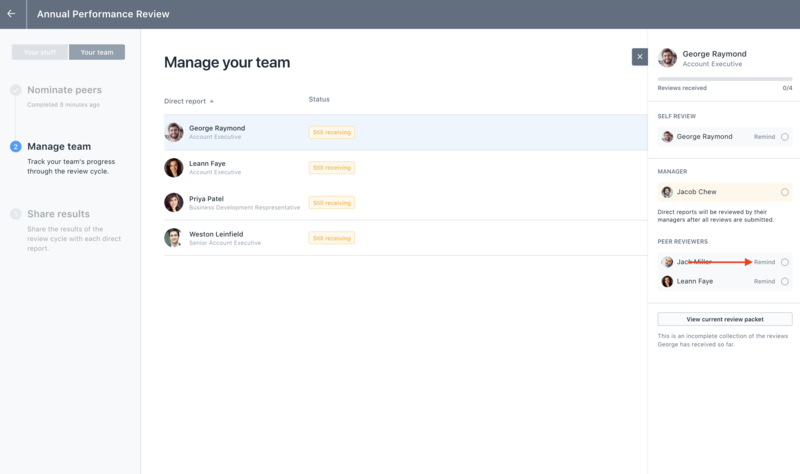 Managers can view the status of their direct reports throughout the review cycle by going to the "Your Team" tab when within the review. From here, they can click on "Show reviewers" and see a list of the reviewers' names and whether or not they have completed their reviews. 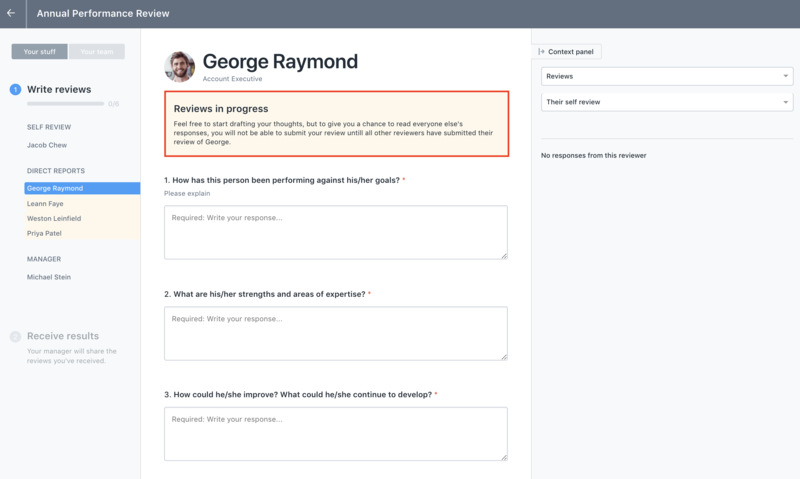 Managers will also be able to help remind reviewers to complete their reviews. What if reviews cannot be submitted? How do I allow the manager to complete their review? Admins always have the ability to "unlock" the manager review if someone is holding it up. To do this, navigate to the "Admin" panel > select "Reviews" on the left Administration panel, and then click "Manage cycle." From here, click on the ellipsis next to the Reviewees name whose manager needs to submit their review. 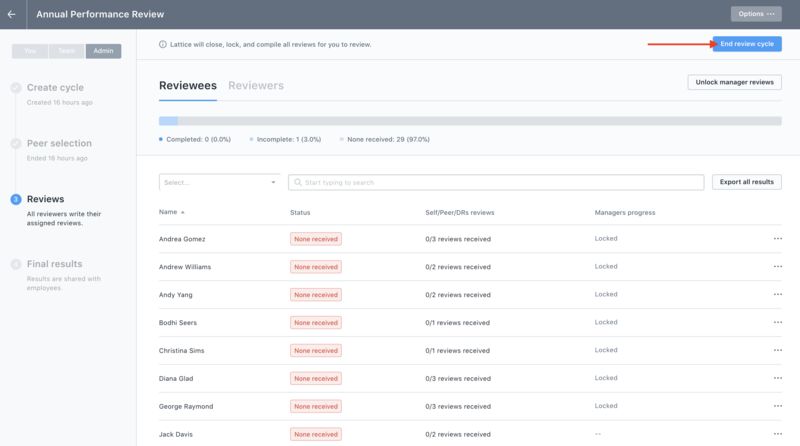 For more information about unlocking manager reviews, check out this article.